Music Basics The section will help you to find what you want if you don’t know the proper musical terminology. Key signatures, sharps and flats Those bits in the music which throw you because they are a little bit higher or lower than you thought they were going to be – they are probably the fault of a sharp or a flat, or the key signature that the piece of music is in. Clefs Are the notes on each line in different clefs the same? Nope – that would be far too easy! Click here to find out the differences and to see that there is a reason behind having different clefs rather than just to confuse us poor singers. Dynamics Loud or soft? It is definitely worth knowing before you open your mouth to sing. Have a look here to see how the composers make it easy for us and tell us how loud or soft to sing. Also included is getting louder or softer. Expressions All those expressions telling us how to sing pieces are in Italian or German or whatever. Have a look here rather than having to learn four or five languages. 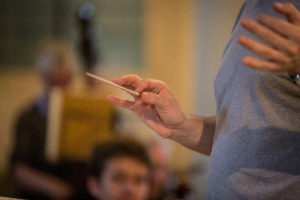 Tempo Although the conductor in front of you has sole responsibility for the speed at which a piece of music is performed you can help them by having a good idea if the piece is speeding up, slowing down or whatever. This section will help you. Note length and pitch Isn’t it amazing that, with the massive diversity of music, that they all use the same notes? Have a look here to learn more about how notes are used. The squiggly bits Music is choc-a-bloc full of squiggly bits – if you don’t know what they are called it can be really difficult to find information on them – have a look here and see if you recognise any.